Owl's Arcana is a 22 card owl only tarot based deck adorned with symbols found throughout Rider-Waite. 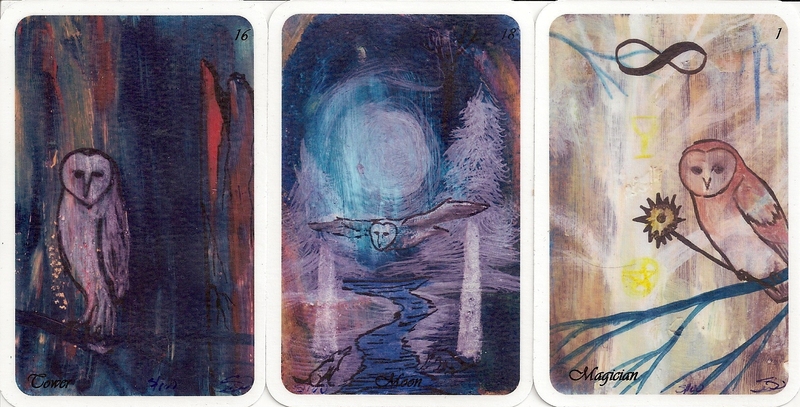 Each card began as a color energy painting which then had the branches painted upon them. Once complete, the artist brought all of the paintings together drew one out, meditated upon it and then worked to create the card. 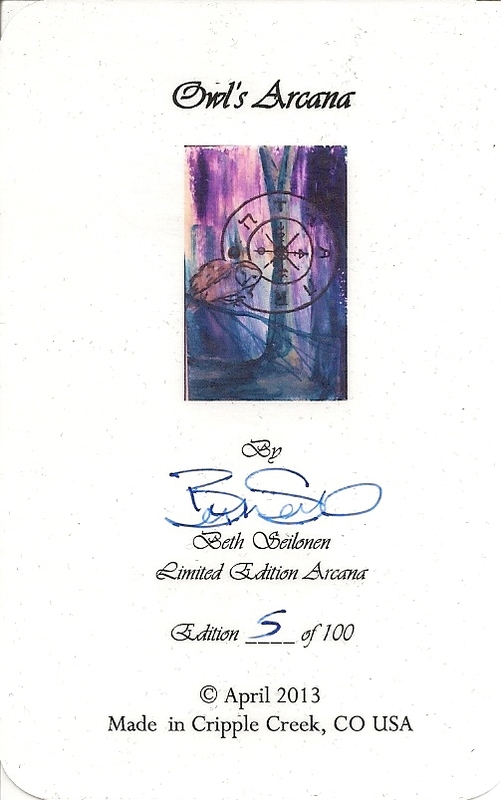 It is a signed and limited edition of 100, mine is number 5.